Zoo Reusable Sandwich & Snack Bag Set ~ Forget one-use plastic bags: Pack your young one’s PB&J’s in one sack and apple slices in the other. 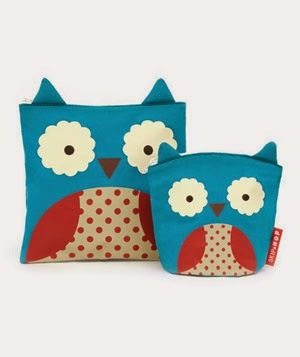 Scaled for little hands, the pouches have water-resistant interiors. To buy: $12, skiphop.com. U-Konserve Stainless Steel Thermos ~ Make sure that Junior’s soup is still warm by the time lunch rolls around with a BPA-free, lead-free, leak-proof thermos. Holds 12 ounces; available in three colors. To buy: $17, mightynest.com. 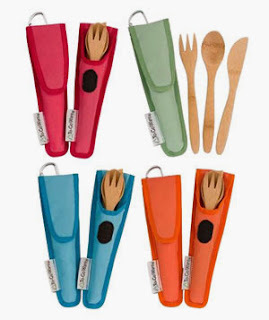 To-Go Ware Kids’ Bamboo Utensil Set & Carrying Case ~ A kid-sized set of reusable bamboo utensils—fork, spoon, and knife—comes in a carrying case that can clip to a lunch bag or backpack. To buy: $10, reuseit.com. 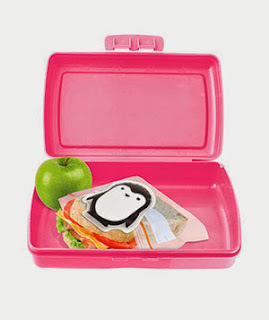 Penguin Hot and Cold Pack ~ This sweet reusable penguin-shaped gel pack can keep lunches cold for up to four hours, and it soothes boo-boos, too, in its off-hours. To buy: $6, kikkerland.com. Percival & Baxter Cozy Can ~ Yes, it may look like a kid-desired soda can, but guess again: Fill this stainless-steel bottle with healthier drinks like milk, juice, water, or even a hot beverage. 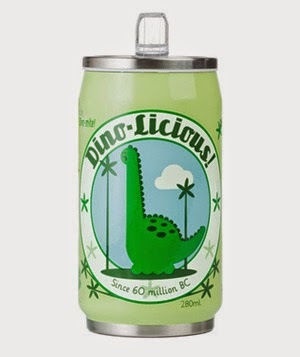 Spill-proof and vacuum-insulated to keep drinks cold or hot, it has a built-in straw and is both BPA- and lead-free. To buy: $22.50, beatrixny.com. 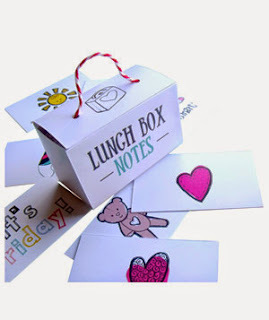 CreativeinBloomLLC Lunch Box Notes ~ The morning rush doesn’t have to mean no time for thoughtful gestures. You can tuck one of these illustrated notes into your child’s lunch bag every day without missing a beat. To buy: $18.50 for 50 cards, etsy.com.